Summer winds down, students head back to school, leaves begin to fall…we’ve got a color tour of savings for you this month! Specials valid through September 30, 2018. FREE 6% Hydroquinone Pads (a $94 value!) when you purchase a package of 3 Full Face Limelight treatments ($800). Give those brown spots a one-two punch! SAVE $100 off Miradry treatment! Say goodbye to underarm sweat, sweat stains, and sticky deodorants for good! SAVE 10% off Chemical Peels! Normal price $85 – $115, this month just $72.25 – $97.75! Soften and enhance your skin’s appearance, help your products work better because there are no dead cells impeding their penetration and increase collagen with little or no downtime. FREE! Receive 20 units of Botox ($240 value) OR one vial of Juvederm XC ($545 value) when you purchase 2 vials of Voluma ($800 per vial). Volumize, lift and contour cheeks, cheekbones, and jawline. Offers valid through September 30, 2018. Call 1-800-A-NEW-YOU for more information or to schedule an appointment. FREE Obagi Gentle Cleanser ($42 value) when you purchase an Obagi Elastiderm Eye Cream ($112). Choose between a FREE Avene SPF 50 Lip Balm ($14 value) or a FREE Solbar Sunscreen SPF 38 ($16 value) when you purchase a Silk Peel ($150). 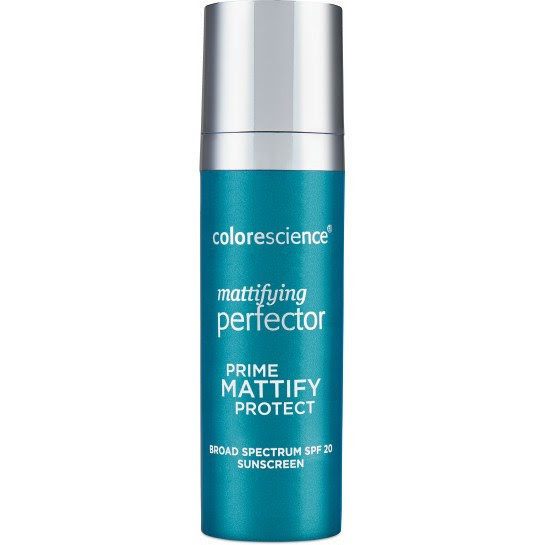 SAVE 15% off any Colorescience Primer!Choose what is best for you – Bronzing, Calming, Mattifying, Brightening, Daily UV Protector, All Calm, or Even Up. Offers valid through June 30, 2018 or while supplies last. Call 1-800-A-NEW-YOU for more information or to schedule an appointment. APRIL IS ROSACEA AWARENESS MONTH! Save 15% off any Avene Antirougeurs Product or Colorescience All Calm Primer. All Calm has a 3-in-1 proprietary formula that instantly neutralizes the appearance of redness, helps soothe and calm sensitive skin, and provides SPF 50 protection. Save $50 off each vial of fillers this month, including Juvederm Ultra Plus, Vollure, Volbella, and Voluma! Get a Silk Peel at 1/2 price when you purchase 2 at regular price! SPRING BOTOX SPECIAL! Schedule your appointment for Thursday, April 26th only, get Botox for $10.50 per unit! Call soon – appointment times are limited. Get a FREE Mandelic Peel ($85 value) when you purchase 2 Dermaplane treatments. Save $20 off Latisse for longer, fuller, darker lashes. Available to Brilliant Distinctions Members (not a member yet? No problem – it’s free and we can sign you up in our office.) One per patient and while supplies last! SAVE 15% off any Skin Revitalizing Center brand sunscreen! Offers valid through April 30, 2018 or while supplies last. Call 1-800-A-NEW-YOU for more information or to schedule an appointment. Purchase 2 vials of Juvederm Voluma® and receive 1 vial of Juvederm Ultra Plus XC® or Juvederm Volbella® for FREE! Up to a $545 value! Provider will help you chose what is best. Juvéderm® VOLBELLA® with Lidocaine is the latest advancement in the Juvéderm® range of facial fillers, developed specifically for your lips and mouth area. A smooth gel gives a soft, natural feel and fills in lip lines and wrinkles, while the hyaluronic acid within attracts and retains moisture, so results can last up to a year. Get a FREE Microdermabrasion (a $100 value) with any 20-unit Botox treatment! Or upgrade to a Silkpeel for just $50! Look years younger, lessen the appearance of crow’s feet and frown wrinkles. Obagi Holiday kits are back!! Get Obagi’s amazing eye treatment Elastiderm with either Obagi Hydrate for just $134 or Hydrate Luxe for just $154 + tax. You’ll SAVE at least $28 AND get a super cute wine carrier for FREE! Get $120 Gift Certificates for only $100! (valid in 2018). Gift certificates from The Skin Revitalizing Center make great gifts! Brilliant Distinctions members SAVE $20 off 5ml Latisse kits! If you are not part of Brilliant Distinctions yet we can easily sign you up right in our office – there’s no charge to join! Triple antioxidant powerhouse to help minimize the harmful effects caused by free radicals. SAVE 15% Just $55.25 (normally $65.00) + tax. Offers valid through December 31, 2017 or while supplies last. Call 1-800-A-NEW-YOU for more information or to schedule an appointment.